This is a dessert buffet – don’t get sick! My friend and fellow educator Amy Burns – an elementary music teacher in New Jersey – frequently starts a workshop by saying “We’re going to cover a lot of things here today. Please think of this as a dessert buffet: if you try to eat EVERYTHING, you’re going to get sick. Just take one or two ideas!”. My intention is not to overwhelm, but to give you a starting point: ideas for using technology, tips on where to get started and places to get further help when you need it. Don’t attempt to eat the entire dessert buffet on the following pages. Start small. 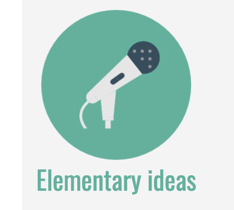 Take just one or two ideas and incorporate them into your everyday teaching life. Then, when you’re ready, explore another. 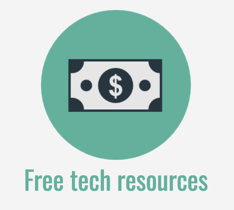 Do you have a professional goal to include more tech? Many teachers come to me saying that they have set themselves a professional goal for the coming year to incorporate more technology into their teaching. In fact, a lot of the time it’s their school principal or department head who has “strongly encouraged” the teacher to make this their goal. Remember: technology is simply a tool. It’s an option available to you that can be used to teach a concept, reinforce information, capture learning or engage students. The main focus should always be the learning outcomes. Technology is there to support your teaching and should be woven into your lesson rather than being the outcome itself. If you’d like to start including more technology and you’re stuck for ideas, one thing you can do is take one of your favourite lessons and choose one aspect of the lesson that you can replace with a tech-focussed option. 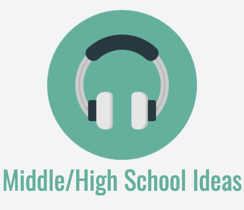 What types of devices should I have for students? How many devices do I need? 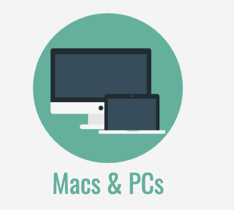 Should I buy a Mac or a PC for my next laptop? What about headphones, microphones and keyboards? There are lots of ways you can spend your budget on technology (if you have one to spend, that is!). Don’t rush into buying lots of new equipment. Start with what you have access to already – even if it’s only your own laptop – and then grow from there. Which devices for my students? There are multiple options for students. Some of you won’t have much say in this aspect – your school will decide which devices students will use, and whether your school is 1:1 or have access to a shared set of devices (or none at all). 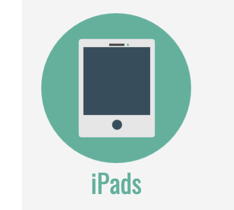 Ideally, you would have access to a few devices for students to use for hands-on activities during class time but you don’t necessarily need one device per student. My advice is to start by making use of what you have. There is a lot you can do with a small number of devices and some teachers even prefer students to work in small groups using one device between 2-3 students. For those of you in a position to purchase more devices for your music classroom, any of the options above will work well and you’ll need to decide which one is best for the student age group you teach, what your budget will allow and the types of activities you’d like to do. If you have only one single laptop, iPad or a very small number of devices for students to use, you’re not alone. You can still do some great activities with your students. Design projects for small groups that include specific roles and tasks for different students in the group and make sure the tasks are a combination of tech-based and non-tech based tasks. Students can then take turns using the device when their role requires it. You can also run centers (stations) in your classes where you have a series of different activities that run concurrently. Devices can be used in one or two centers while others can be involve playing instruments, singing, literacy activities, rhythmic work and so on. 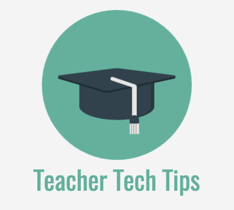 There are many ways you can incorporate technology into your teaching life. Most of us use technology to organise ourselves on a daily basis. I’m always excited to find new tech tools to help me manage everyday life and become more productive so here are some of my favourites. 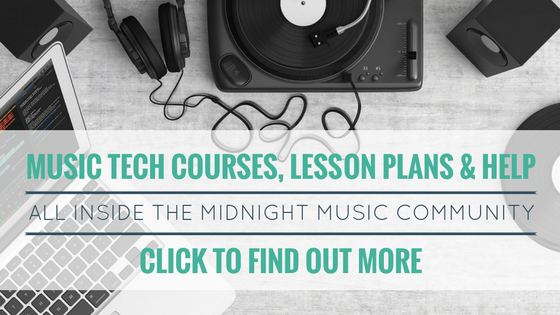 I talk more about ways you can use technology to organise yourself and improve productivity on my Tech Tips For Music Teachers – Increase Productivity and Create Your Own Resources page. Tech tools are crucial when creating your own teaching materials and spending a little time getting to know how to use them efficiently can save you hours of work. I recommend you use presentation-style software to create your resources since it allows you to position images, text boxes and other items freely on the page. You only need to learn a few basic skills in these software apps and you’ll be creating great resources in no time! This is possibly my favourite use of technology! 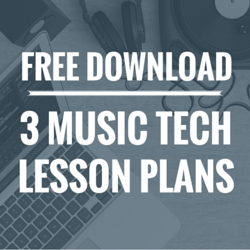 There are lots of great ways you can incorporate technology into your music classes to foster creativity and provide students with an engaging way to explore composition, arranging and performance. By using tech tools, you can easily capture student learning and assess student work quickly. One of the easiest ways to take advantage of technology in your classroom is to use tech tools to drill or reinforce concepts that you’ve been covering with your students. Are there any basic tools in your everyday life that you could replace with tech options? 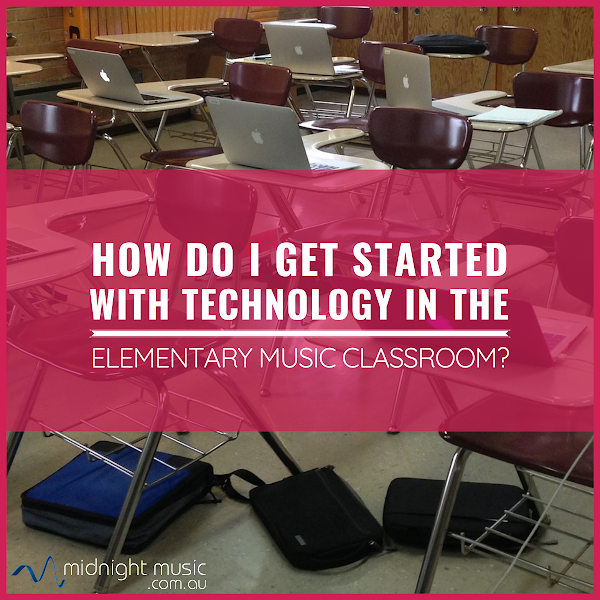 How Do I Get Started With iPads In The Music Classroom? 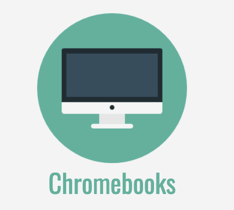 How Do I Get Started With Chromebooks In The Music Classroom? 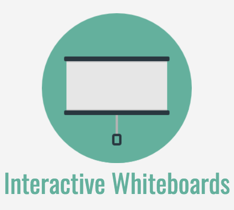 How Do I Get Started With Interactive Whiteboards In The Music Classroom? 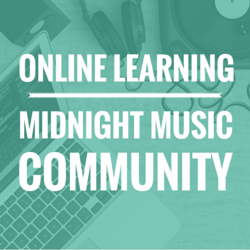 If you’d like more online training and resources plus personalised tech help, come and join us inside the Midnight Music Community. These popular resources are included in your membership, plus a whole lot more! For a list of the courses and lesson plans inside the MMC, head over here.